The product case, designed to prevent any possible distortions, and the sturdy X-shaped frame that can support screens larger than 120", provide longer lifetime and durability. EXZEN'S special masking technology - developed by skilled craftsmen - does not allow any dispersions or stains. The quality is unbeatable! 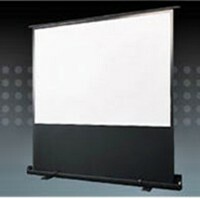 The non-reflective black film at the lower part of the screen increases the quality of our product.